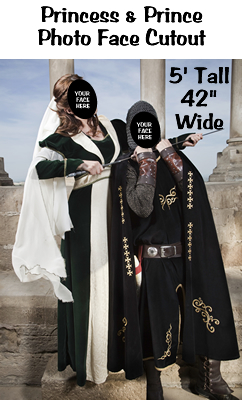 Prince & Princess Photo Face Cardboard Prop - Dino Rentos Studios, INC.
Full length picture. Place your faces in the cutout and take a picture. !